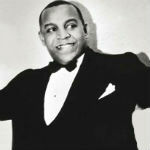 Don Redman (July 29, 1900 – November 30, 1964) was an American jazz musician, arranger, bandleader and composer. He was named a member of the West Virginia Music Hall of Fame on May 6, 2009. Don began playing the trumpet at the age of three, joined his first band at the age of six and by the age of 12 was proficient on all wind instruments ranging from trumpet to oboe as well as piano. He studied at Storer College in Harper’s Ferry and at the Boston Conservatory, then joined Billy Page’s Broadway Syncopators in New York City. In 1923, Redman joined the Fletcher Henderson orchestra, mostly playing clarinet and saxophones. He soon began writing arrangements, and Redman did much to formulate the sound that was to become swing. A trademark of Redman’s arrangements was that he harmonized melody lines and pseudo-solos within separate sections; for example, clarinet, sax, or brass trios.